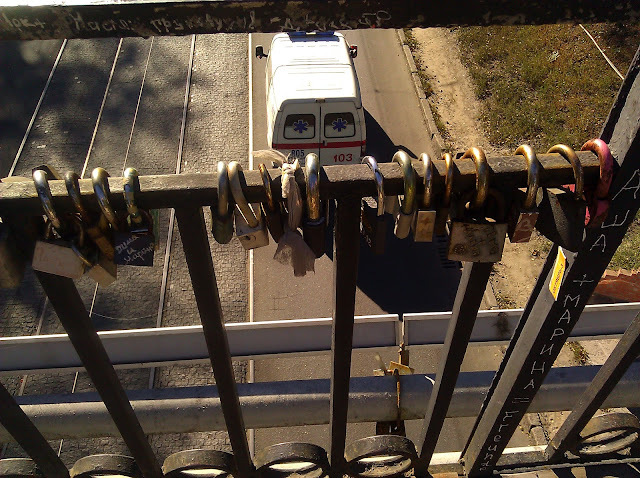 Across from the football stadium at the University of Kansas is a little garage with a red door that has the word "love" painted on it. It's one of my favorite spots in Lawrence and although I've not seen a lot written about it if I asked someone about "the love garage" I would imagine they would know what I'm talking about. 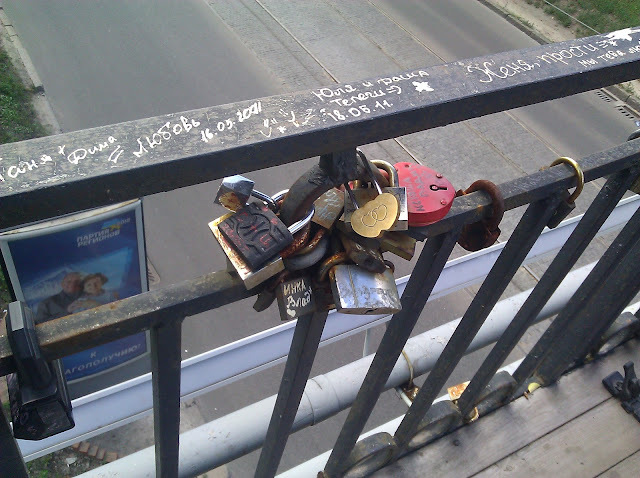 In Kharkiv we've found an equivalent that Laura and I have taken to calling the "Love Bridge". 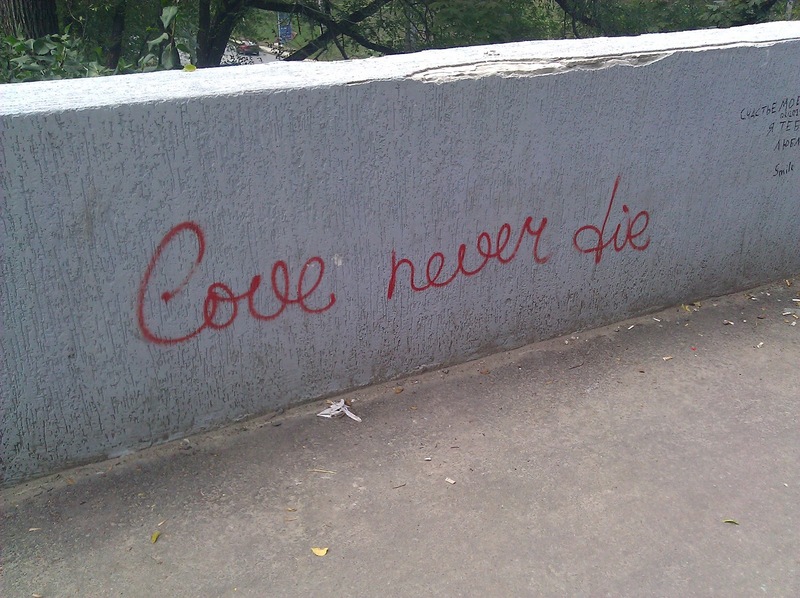 Walking towards one of the larger grocery stores in town we came to a little walking bridge over one of the major streets Someone had spray painted in broken English "love never die." 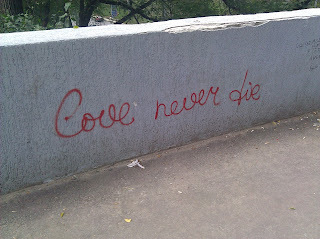 It's a lovely sentiment but the people of Kharkiv have taken it to the next level. 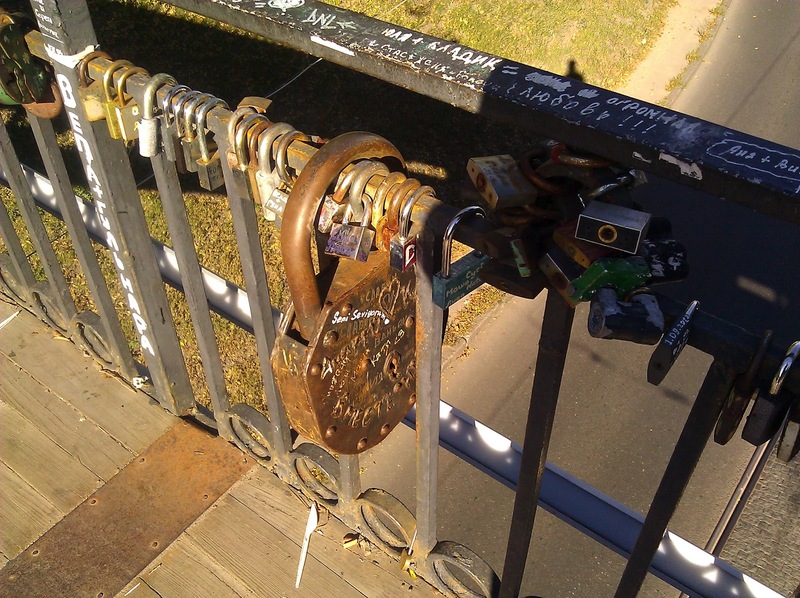 On each of the bridge railings couples have placed a lock symbolizing their love on the bridge. They sometimes write their name on the lock. 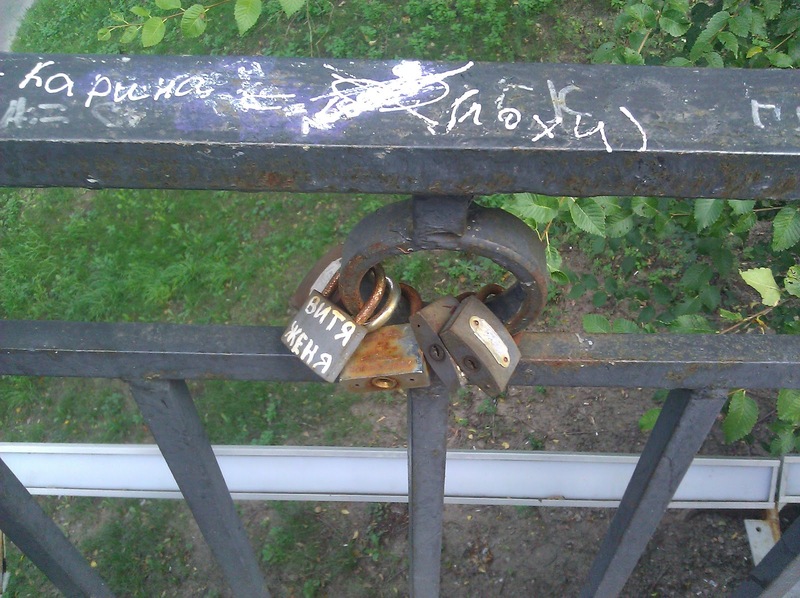 The lock on the left with the white lettering says the names "Vitya" and "Zhena." 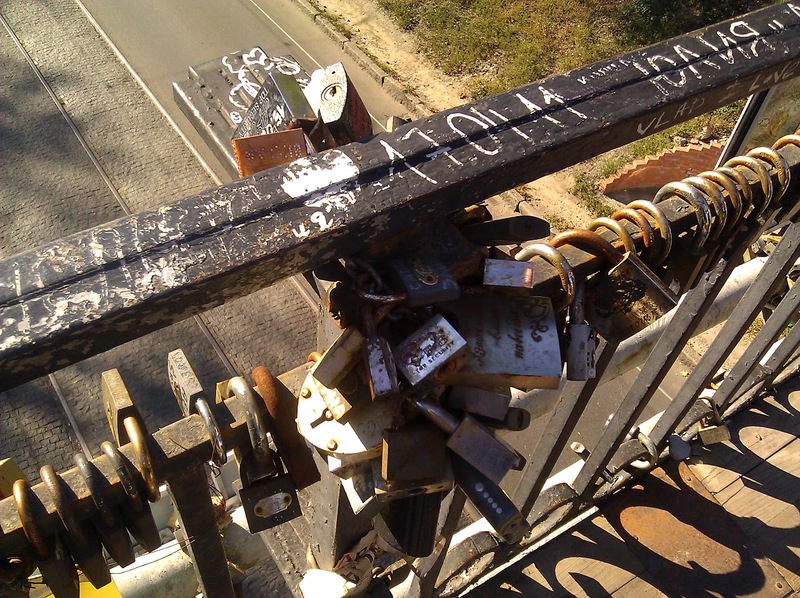 There are small locks, big locks, and some of the largest locks you've ever seen. 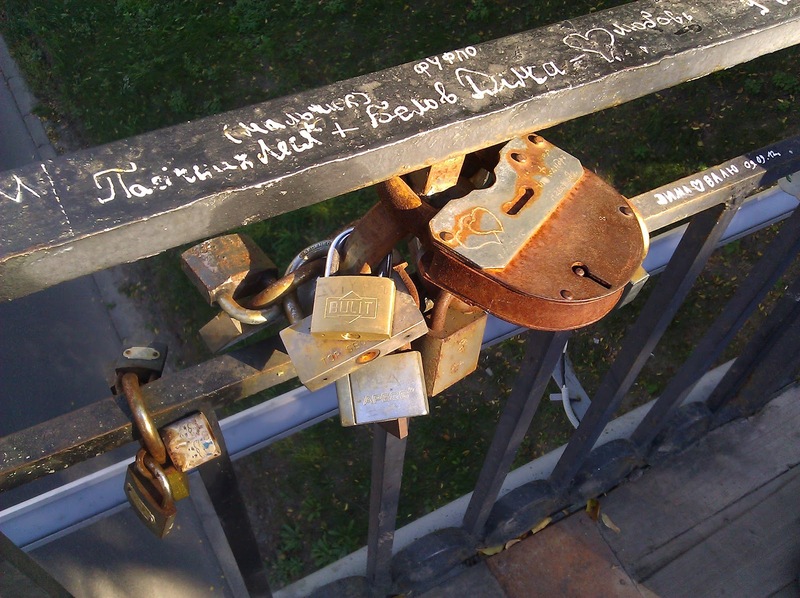 Before we leave I think that Laura and I will get a lock and add it to the collection...now where on earth do you find a lock in Ukraine??? I drug my lock over from the US. In Moscow there is a bridge where the tradition is so popular they added trees to the bridge to add the locks too. this is popular throught Europe - we saw them in Paris as well.